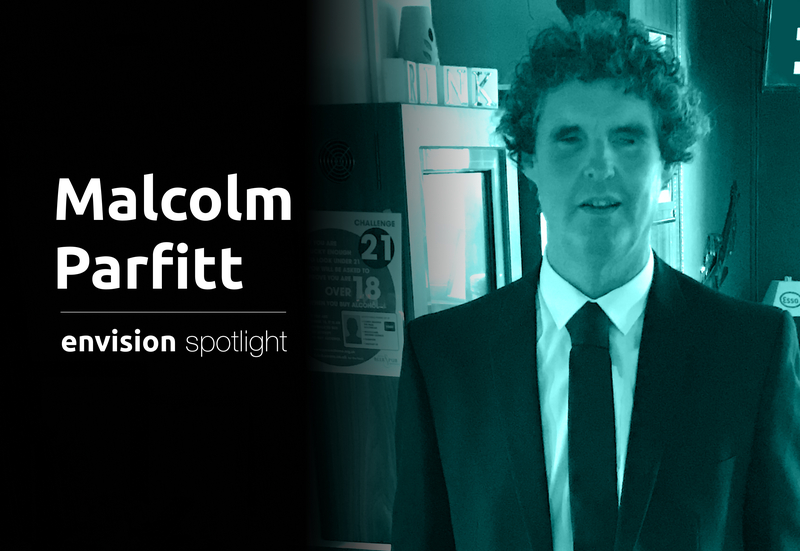 This week, we caught up with Mr. Malcolm Parfitt. He live in Wales, United Kingdom and is an Information Technologist by profession. He owns a training institute as well. He has been totally blind from a very young age but that hasn’t stopped him from anything. Go ahead and read about one of our enthusiastic customers. A photo of Malcolm Parfitt. I juggle between work and home. And of late, it involves a lot of paperwork. That aside, I’m a gregarious person and I’ve a huge circle of friends. We visit the public house or meet at my place. Most of them turn to me if they need help with their phones. Until I discovered Envision, to read anything was a challenge. Reading was tied to a scanner or computer. But now options like instant text or document text on Envision have made it easy to deal with paperwork. Incidentally, multiple page document reader was a feature I suggested to the team and it was immediately implemented. There is not a day that goes by without using Envision. I use Envision to identify objects, train faces and objects. Envision allows me to save photos with description and that’s how I organise the photos on my phone. I also use the barcode reader option to identify products. How has Envision improved or impacted your life? When I moved houses, I had packs of envelopes. I had two options, either a scanner (would’ve taken ages to read them all) or get someone read out the documents to me. With Envision I could put everything in order. Saves me a lot of time and helps me remain organized. I often feel like I own the app because it is strongly user driven. The best part is, you guys listen and develop. This entrepreneur continues to chase his dreams and we wish to be part of his journey all through.